Learn what you are dealing with to reduce the potential consequences of an encounter with hazardous materials. Provides an understanding of confined spaces in the workplace and the hazards associated with entering them. We specialize in online safety training for WHMIS (Workplace Hazardous Materials Information System), TDG (Transportation of Dangerous Goods), SIMDUT (Système d’information sur les matières dangereuses utilisés au travail), TMD (Transport des marchandises dangereuses) and electrical online safety training. Our interactive online courses include WHMIS, TDG, Forklift Operator Safety Awareness, H2S Awareness, and more. Get your WHMIS training online today! Corporate group rate discounts available! In Canada, the legislative and regulatory responsibility for occupational health and safety belongs, with three exceptions, to the individual provinces and territories. This can present a problem for employers who are responsible for health and safety training in more than one jurisdiction. WHMIS.ca can resolve some of this for you! Our courses present the regulations applicable to each student based on the location of their workplace. We update our online training courses as federal and provincial regulations change, so the training we provide is always up-to-date! WHMIS is a federal regulation applying everywhere in Canada, and our online WHMIS training course conforms to the regulations. 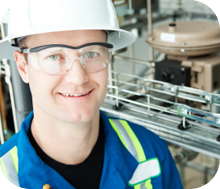 Most provinces have enacted regulations to clarify or extend WHMIS. 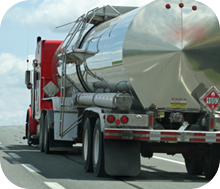 Transportation of Dangerous Goods (TDG) is also federally regulated, but some provinces have additional regulations. Federally Regulated Workplaces. All operations of the federal government plus some businesses which cross provincial boundaries (such as Crown corporations, telephone, shipping, radio and television, First Nations reserves and some others) are federally regulated regardless of where they physically reside. All our online safety training courses allow the student to review all federal regulations as well as any provincial extensions may that apply!